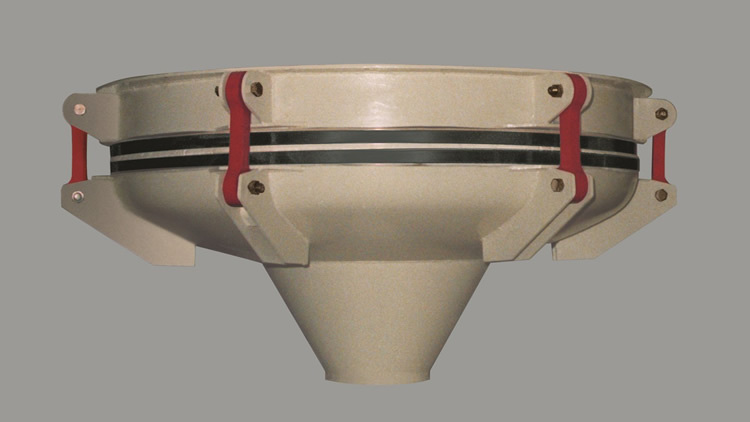 By using our vibrating bin discharger you will be able to unload any kind of material. In fact, there is no better system to cope with stored products that are difficult to discharge. Unlike other unloaders and because of its robust construction, our dischargers are able to bear the huge pressure present in the silo´s bottom. HAM Vibrating Discharger works by generating a constant vibration that compels the product to flow, thereby avoiding the product´s stagnation at the silo´s way out. On the other hand, the HAK Bin unloader is suitable for unloading special products, such as bran, that tends to get lumpy.